Every now and then a new Yeezy is released. It releases in limited stock and sells out within an hour. After that, getting your hands on a pair of Yeezys that retailed for $150-350 will cost you $1000-4000. One hustle is to try and get a pair of Yeezys (i.e. cop a pair) for retail price by outgunning everyone else on the online release. When new Yeezys drop, it’s just like in-store releases at Nike and Adidas, people rush in and buy all the stock out. What a Yeezy bot does is simply buy it for you much faster than you ever would, giving you a great chance to cop those new kicks. Think of it this way, for you to do things manually you’d have to be there on your computer, constantly refreshing every few seconds, then when it’s released you have to click purchase. You could get blocked out due to heavy traffic on the site, and try again till you maybe get a foot in, put in your purchase details and checkout all while 1,000,000 other sneaker heads are doing the same. Even if the stars were aligned and everything went impossibly fine it would still take you at least 7 min, or 420 seconds, or 420,000 milliseconds. A good bot on a good server would complete the exact same thing in around 250 milliseconds. Yes seriously! 1680 times faster than you could ever dream of. Add some Yeezy Proxies to the mix and now you can cop tens of pairs instead of just one. With an easy resell value of $1000 for the average Yeezy ($4000 to $5000 for the Red October Yeezy release) that’s a lot of stacks. How Does a Yeezy Bot do it? 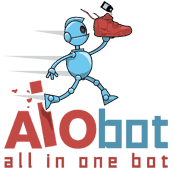 It’s a program that’s designed to do the exact same things that you would do to order, all while avoiding the pitfalls and obstacles set up by the cop sites (adidas.com, footlocker.com etc) to try and stop bots from copping. It constantly refreshes the cop sites’ page and waits for the release to happen. As soon as the new drop happens it adds to cart then checks out with the billing and shipping details you provided before hand. If it fails it automatically retries until you succeed, get blocked by the cop site ( this is where Yeezy Proxies come in) or until stocks run out. How to use a Yeezy Bot? While each Yeezy bot is different, they all follow a general guideline. You start off by creating a task/accounts ( the name differs between bots), each task/account is pretty much a shot at a Yeezy. The tasks/account is the program constantly trying to cop those Yeezys. If you setup multiple tasks/accounts then it’s like cloning yourself and now having double the chance at coping. And this is where Yeezy Servers and Proxies come in. The more tasks/accounts you have running, the more horsepower you need on your internet connection and computer specs. Think of it this way, a Yeezy Server you buy online is usually 10X faster than your PC and your internet connection, so even at 1 task/ account you’re being outgunned by someone using a server. Take this seriously as it’s the difference between copping and not copping. Read more about this at What are Yeezy Servers? Now it’s time for the short on proxies. As you try and cop, your Yeezy Bot is constantly checking the cop site to try and add to cart/ checkout the Yeezy. The cop site will notice this eventually, and decide to block you for using a bot. Now when I say block YOU I mean your IP address, which is your identity on the internet. When you buy Yeezy proxies and load them into your Bot even if one of them gets banned, you’re able to use another identity/ proxy instantly. In case you don’t get banned you can use proxies to act as different people/ buyers and maybe purchase more than one pair. I know people who’ve coped 100+ Yeezys in a single release, made a damn fortune! Learn more about Proxies at the What are Yeezy Proxies?